Why hello there August…. I appear to be super mega organised this month so am starting out having written this up at the start of the month, rather than needing to play catch-up as I usually do! Life is precious and oh so very short. As my 30th year enters its autumn I am beginning to think about what’s next… Too soon? Well I am a professional planner after all! I’ve spent much of the last year working away from home, doing something really quite different form my “day job” and I won’t lie when I say that the job is challenging, but in a good way. I am therefore struggling to determine which path to take. Working away from home is becoming tiresome and the incentives of the short-term gain don’t balance out over the long-term. Therefore, I am spending August investing in identifying the key areas that I get professional fulfilment in and identifying what I might like to do that involves these aspects, but also allows me the work-life balance and personal fulfilment that is so difficult when one is so absent. 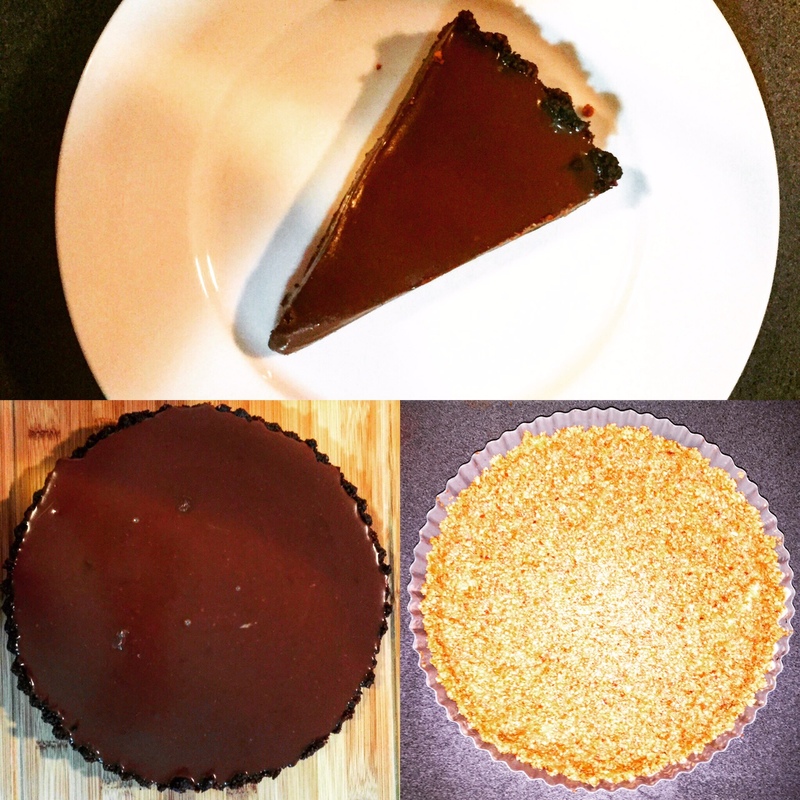 This month I made a super quick and super delicious Chocolate Tart. But this point also illustrates just how simple this recipe is! The base is essential processed nuts with a bit of honey. My oven is quite powerful and I left it in ever so slightly too long (12 minutes, maybe should have been 10). The instructions say to leave the shell to cool completely before filling. I had initially thought this would require leaving for several hours, but it actually cooled down extremely quickly… when a girl wants post-cocktail chocolate tart she doesn’t want to wait! The filling is extremely simple to make too, just mix it all up and pour it on it. Initially I had a tad concerned that my shell wasn’t high enough on the sides, but it worked out fine. The filling has cinnamon to add a slightly spiced flavour. However, I wasn’t too keen on this actually. This definitely went down a treat – after several slices each and several more saved in the freezer for another time I was a winner. It went really well with both strawberries and also with coffee ice cream. The pecan shell/crust is lovely and slightly crumbly, providing a great textural contrast. I am a big lover of pastry but would really recommend using this for other tarts too. I would say that it needs to be refrigerated for long enough as the consistency improves a lot. I thought it was best after being left overnight. I am going to make this again for sure. Next time I won’t cook the shell for as long as I won’t include the cinnamon. I’d like to try a chilli version and also a version where the filling is cooked with orange rind for a Terry’s chocolate orange flavour, with some candied orange peel on the top. I also loved the simplicity of the nut shell, as opposed to using pastry. I reckon this would work really well with cashews for a lemon tart, or even trying a mix of nuts, adding a few Pistachios would work well. I have a feeling another version of this will be appearing before the end of the year! It is now the depth of winter in Queensland and it’s been getting down to zero, which in this kind of climate is slightly soul-destroying. Between the months of June to August I live in big woolly socks and snuggled up under blankets– usually homemade ones. I do like making funky looking socks (although 2nd sock syndrome is a very real thing) and I find making blankets very cathartic – even if they do end up giving you repetitive strain injury! Therefore, this month I am thankful to both my mother and my grandmother for passing down their expansive knowledge of traditional crafts to me. I was never particularly into making socks myself until one Christmas I went home and mum was going through a manic sock making phase, I think this must have been about 2007 and I decided to get stuck in. Over the years having the knowledge from half a century’s worth of knitting at the end of the phone was an invaluable resource and I still go to automatically ask mum when I need help, even though she’s been gone for 3 years already, it’s like a reflex. 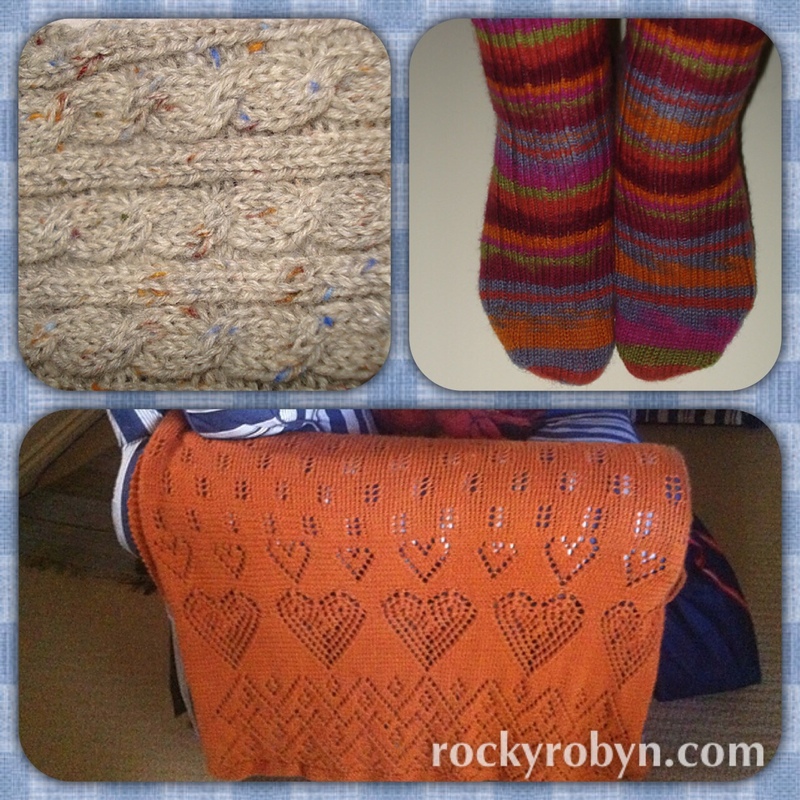 Knitting, crocheting and sewing are my favourite hobbies and the ones that have stayed with me from childhood. I really wish I’d pursued something in this area more seriously, but maybe that would have taken away from my enjoyment of it. However, traditional crafts are the one area of my life that I’ve maintained solid level of passion and interest in for my entire life. I have very clear memories of sitting in front of my grandma’s fireplace being shown how to set out quilt blocks and how to choose what you need for knitting patterns. I remember before my sister was born deciding to make an overly ambitious outfit for her and the number of times I had to get mum to pick up the errors sat on the couch in our old front room. It always seemed so clever how she would work it out and fix it. Nowadays I’m lucky to have been doing this for over 20 years and would say I’m pretty advanced. I’m actually hoping to publish a couple of patterns I’ve been working on over the next few months or so, so watch this space! This entry was posted in 30@30, Uncategorized and tagged 30@30, 30at30, Chocolate, Crafts, inspiration, quote, recipe, socks. Bookmark the permalink.